The Grass is always Greener – Right After they Sod it! 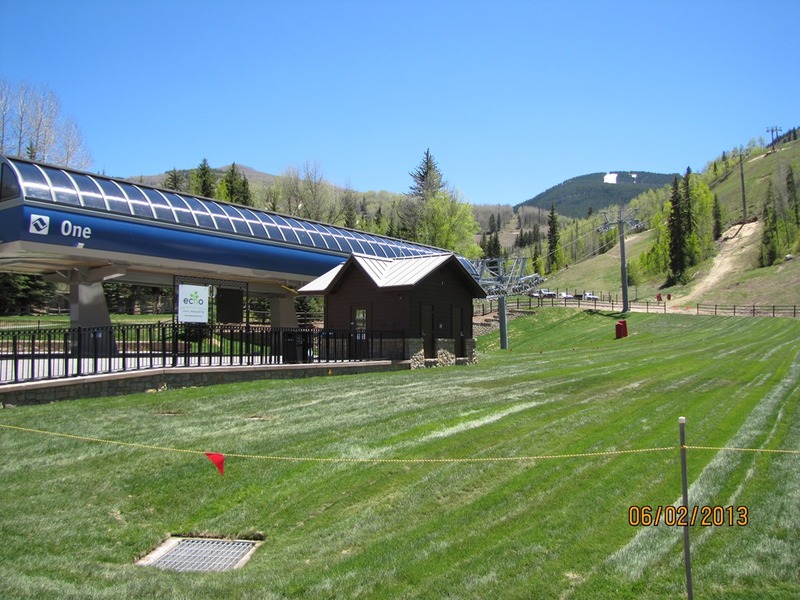 Vail’s soon to be summer busy – Gondola One – raises the ‘green ante’ this week to the fairway keepers at Augusta National! The difference? Gondola One’s grass – has no divots! 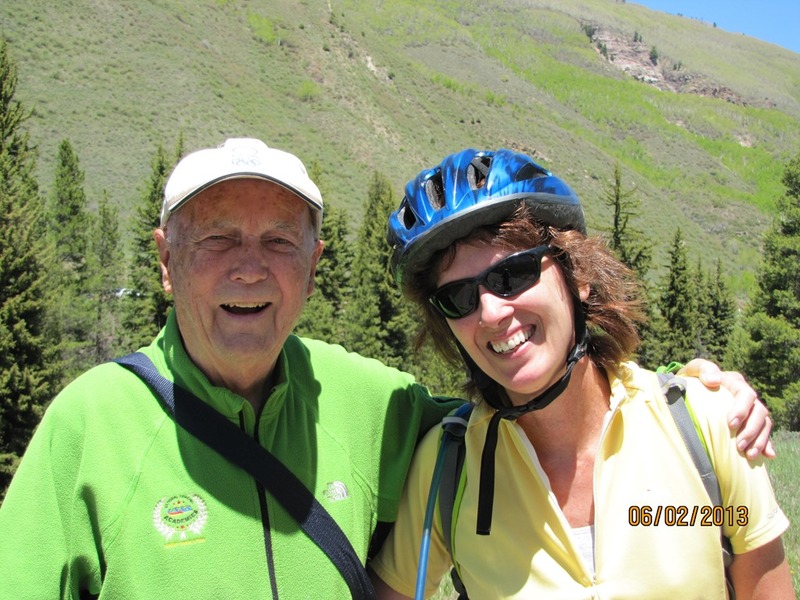 …Meanwhile long time Vail Icon – Dr. Tom Steinberg – discovered out for a Sunday stroll near the Vail Golf Course – was spotted ‘Hangin with the Biker Gals’ who often pedal by. Dr. Tom’s vision might not be what it once was – but it’s sure good enough to know where to hang out with the gals biking by! Go get ‘em Dr. Tom!